A terrifying disease, or the next step in human evolution? Three scientists must battle to find the truth in this heart-stopping technothriller. A terrifying disease, or the next step in human evolution? Three scientists must battle to find the truth in this heart-stopping technothriller. Mitch Rafelson makes a major discovery high in the Alps - the preserved bodies of a Neanderthal family with a human child. Kaye Lang investigates a mass grave in the Caucasus - the bodies are mutated. Christopher Dicken tracks a mysterious flu-like disease that causes pregnant women to miscarry. Together, these three scientists discover that so-called junk genes, dormant in our DNA for millions of years, are waking up. 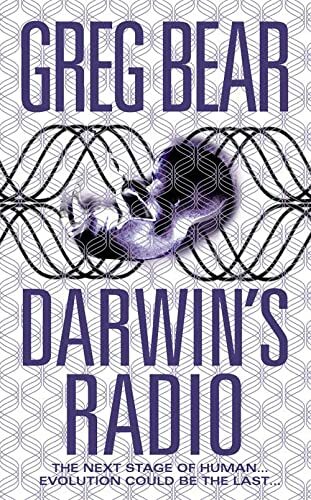 A signal from Darwin's radio has triggered the next step in human evolution. The women who miscarry become inexplicably pregnant again. However, this time they are carriers of Homo sapiens novus. But there is mass panic, official denial, draconian measures against the terrible `disease'. Only Mitch, Kaye and Dicken can solve the evolutionary puzzle that will determine the future of the human race, if a future exists at all.